Newly set up in March 2018, Digital Solutions Center is ABB’s latest development to strengthen its strategic presence in Singapore. It aims to drive innovation and bring pioneering solutions to its customers worldwide. Focused on fast-paced, agile development for direct implementation in customer projects, the center uses a mix of ABB’s own technology and new developments in research and development. ABB (ABBN: SIX Swiss Ex) is a pioneering technology leader in power grids, electrification products, industrial automation and robotics and motion, industrial automation and power grids, serving customers in utilities, industry and transport & infrastructure globally. A subsidiary of SP Group (SP), Singapore District Cooling (SDC) commissioned the world’s largest underground district cooling network in 2016. Located five levels below Marina Bay Sands, this massive district cooling plant provides energy savings of more than 40% to commercial customers in the Marina Bay district. SP Group is a leading energy utilities company in Asia Pacific. It owns and operates electricity and gas transmission and distribution businesses in Singapore and Australia. SDC provides district cooling and heating services to developments in Singapore and China. The S$1.2 billion Power Generation Facility located on Jurong Island commenced operation in 2014. This 800MW Power Generation Facility, operates 24/7 and is capable of powering over 1 million Singapore households. 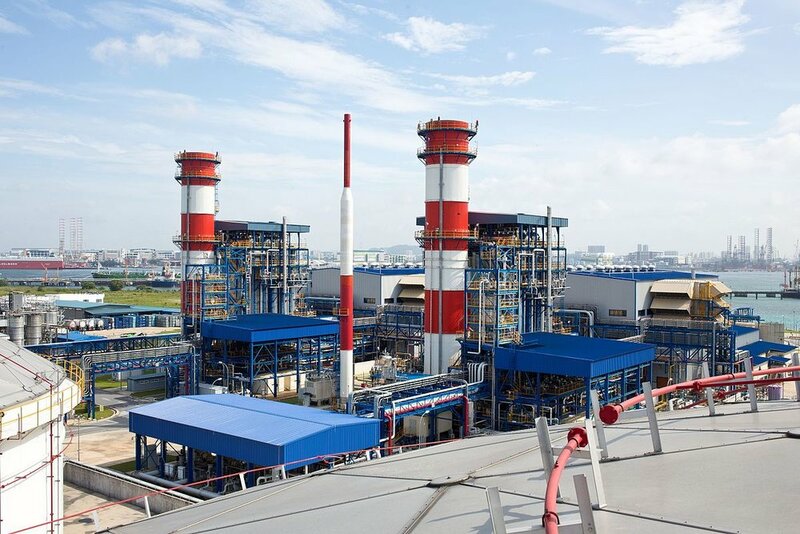 It is a Combined Cycle Gas Turbine (CCGT) Power Plant, and is one of the most efficient power plants currently operating in Singapore, and the first to be completely fueled by Liquefied Natural Gas (LNG). PacificLight Power is an electricity power generator and retailer in Singapore.